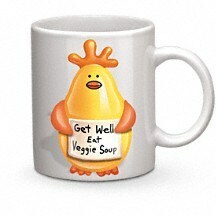 Is someone feeling a bit under the weather? It's Dr. Chicken to the rescue! 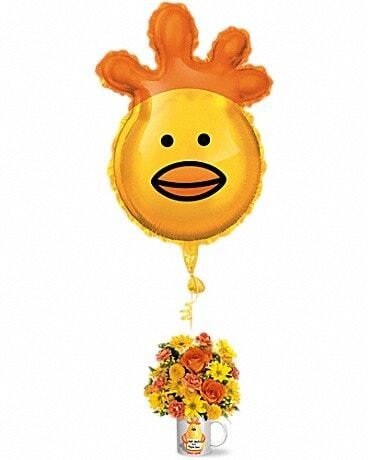 Our cheerful chicken mug - filled with bright flowers - comes with a big foil balloon, and will bring a smile to anyone's day. This charming ceramic Mugaloon™, one of Teleflora's exclusive gift containers, is great for morning coffee or soup.